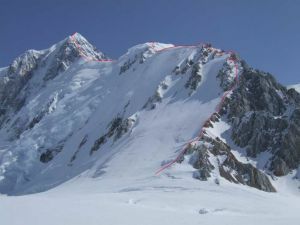 This peak is #40 on the Height List for Yukon Territory .The south peak is located on the west edge a high-altitude plateau south of Mount Walsh's main summit. The east face is completely glaciated. A 1992 CAJ article calls this peak Walsh S.